Limits the movement in horses mouth. May relax parts of the horses mouth as the mouthpiece is given a little bit of movement on the bit, as opposed to the traditional eggbutt . 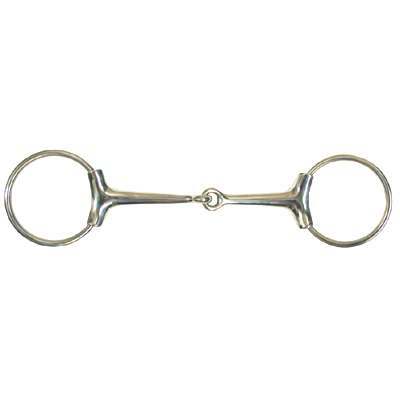 Creates snapping action with rings and mouthpiece.Stainless Steel. 2 1/2'' rings. 12mm mouth.